This looked waaaay too good this morning at a bakery I'd been longing to check out in Fontainebleau. I'd missed breakfast and Ijusthadtohaveit. But as I was standing in line at the next store I visited, a guilty thought hit me, "Was this supposed to be for breakfast here?" 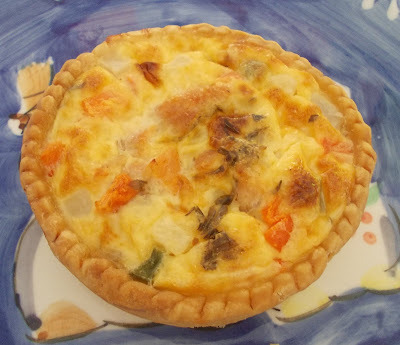 Breakfast quiche, right? And with salmon and mixed vegetables?